KPI’s or Key Performance Indicators are essential to operating a successful business. It sits on a Microsoft Excel Platform so can be easily updated internally if desired. 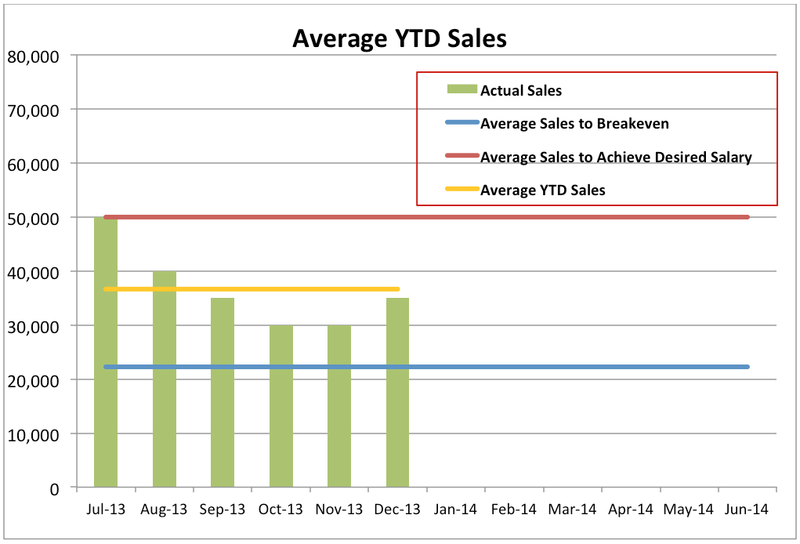 It includes monthly summaries and graphs to help monitor key drivers and indicators in your business. Helps you stay informed as to how your business is performing on a year-to-date basis as compared to pre-set benchmarks. This system should be seen as an investment for the long-term success of your business. It will get you and your team more focused at looking ahead and also motivated into making effective decisions that will have a positive impact on your business and its long-term success. The system set-up will include the first 3 months of trading analysis commencing from the date it is first rolled out. Once established this system can either be updated internally (eg. by you or an employee or external bookkeeper) or by our firm through our â€œProactive Business Services Packageâ€ (refer below). The choice is yours. Facilitates the accurate measurement of performance in critical areas of business and facilitates comparison to internal or external benchmarks. Assists with identifying business strengths and weaknesses so that management can take action quickly and effectively. Helps owners and managers make more effective and timely decisions which should lead to improved performance. Can assist in getting your team connected on shared goals and objectives. Motivates your team into driving the business towards achieving its short-term and long term goals. Can be used to help facilitate team performance and incentive program and also improve staff moral and retention. Can measure financial and non-financial aspects of the business. The main challenge for most business owners is firstly identifying what the appropriate KPI’s are for their needs and secondly, how to measure, monitor and report the KPI’s effectively so that they drive and focus the owner and all other relevant team members to achieving the key goals and objectives of the business. We can customise a KPI Measurement System for your business which is easy to understand and which will achieve most, if not all, of the benefits listed above. However, in order to get the most out of this system, your business firstly needs to have a strong internal account system which produces accurate and timely financial results on a monthly basis. Secondly, you need to plan ahead by setting goals and objectives and incorporate these into a monthly budget for the current and following year. Our firm uses a KPI Measurement System and reviews aspects weekly and monthly. It has helped produce amazing results through focussing the entire team on critical areas that will drive sales, profits and cash flow. Below is an example of just one KPI Graph that can be linked to the business’s budget, updated monthly and which could form the basis of a KPI Dashboard for the owner. This graph measures sales at a number of levels. We have incorporated a sales benchmark into our KPI Sales Graph which shows the team how we are tracking against sales required for a bonus incentive scheme to take effect.